KeroVee, Pitch Shifter / Time Stretcher from g200kg. 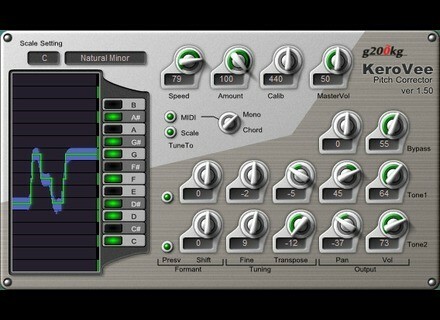 g200kg has updated KeroVee to version 1.26. 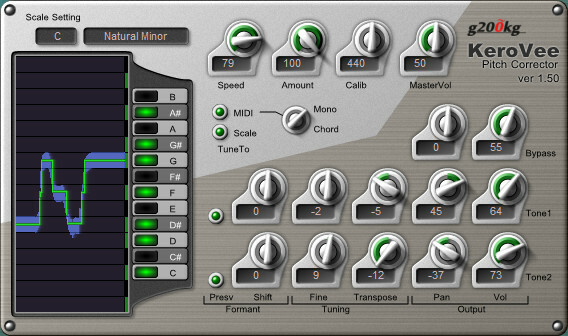 'Chord mode' is added that will specify the multiple allowable note. Re-tune algo is improved for more natural pitch correction. Improved tolerability with input level-over. MultitrackStudio Professional v6.3 Bremmers Audio Design has updated MultitrackStudio to version 6.3.
whiteLABEL Updates bolsterisers whiteLABEL has announced the paid-for versions of the bolsterisers plug-in range have been updated to version 1.2. Waves Gold PreSonus Special Waves is coming up with a special offer including the Gold Bundle, the PreSonus Firestudio Mobile, Studio One Pro and iLok.